How to open an existing map file from the cloud? How to restore a previous version from history? 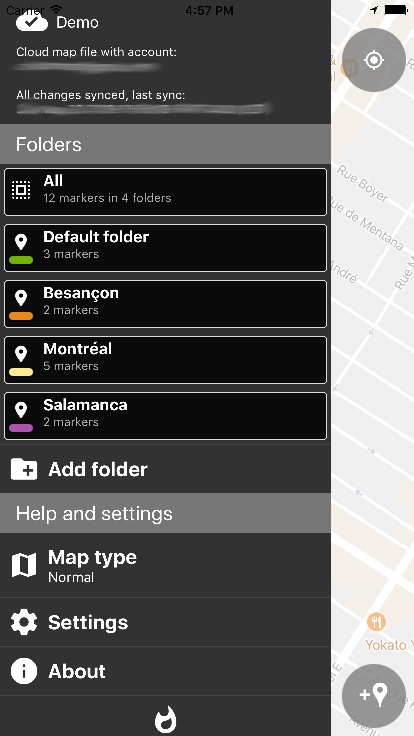 How to export/share your markers? How to import your markers from a KML, KMZ or CSV file? 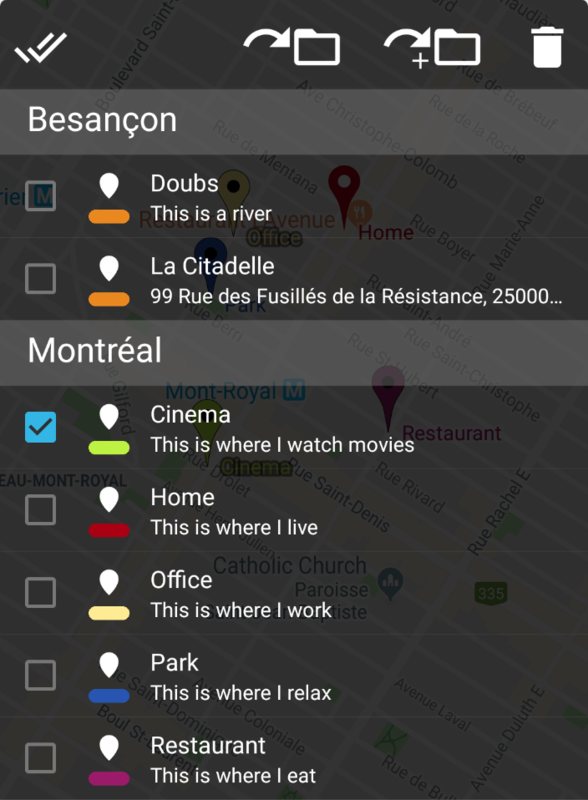 How to use offline maps? 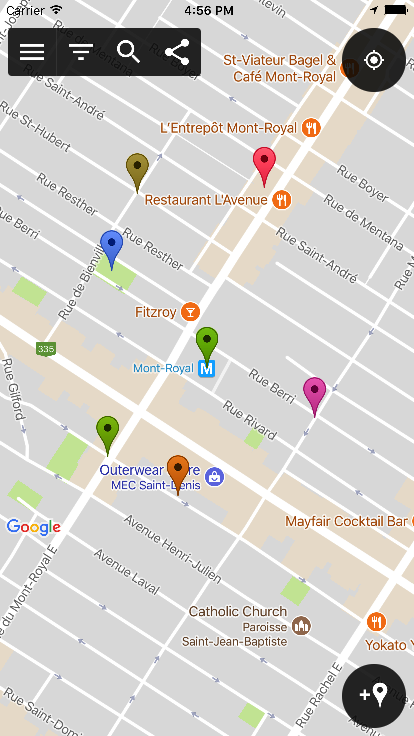 How can I import my starred locations from Google Maps (locations marked with a star on Google Maps)? I have a feature idea, how should I submit the idea? How can I stay tuned about what’s coming soon for Map Marker? Why is Map Marker not a navigation app? 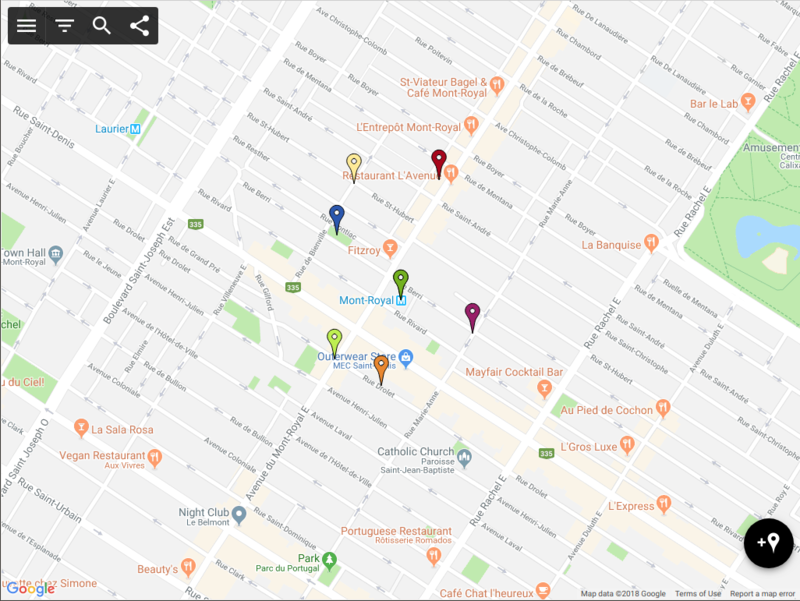 How do I add locations on Google Maps? 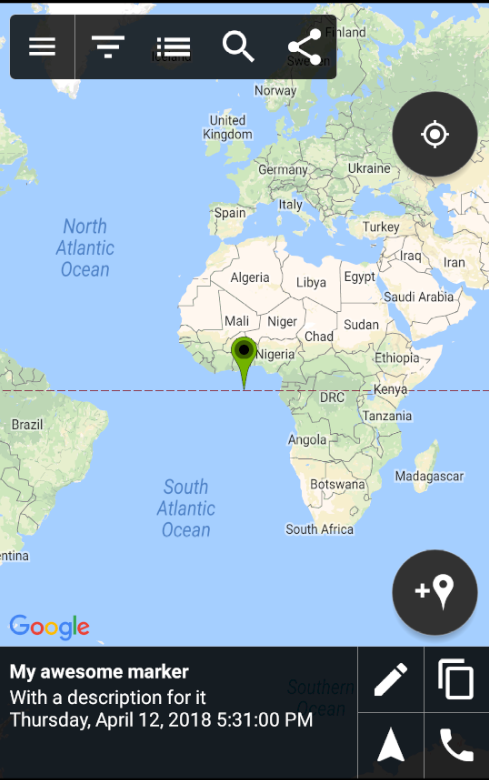 A place in Google Maps has wrong/inaccurate data, how do I fix it? 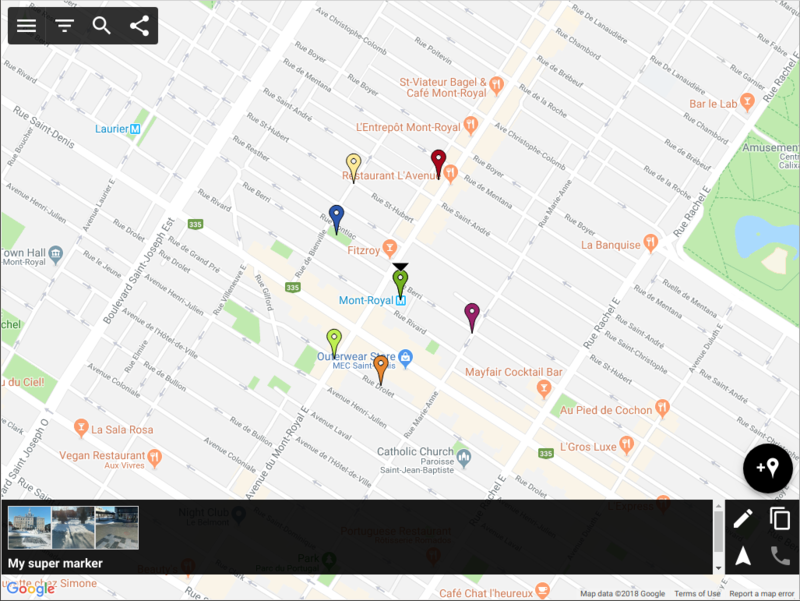 To create a new marker, click on the add button from the main map interface, then move the map around to place the target where you want to place the marker. When the target is at the desired location, click “OK” to place the marker. 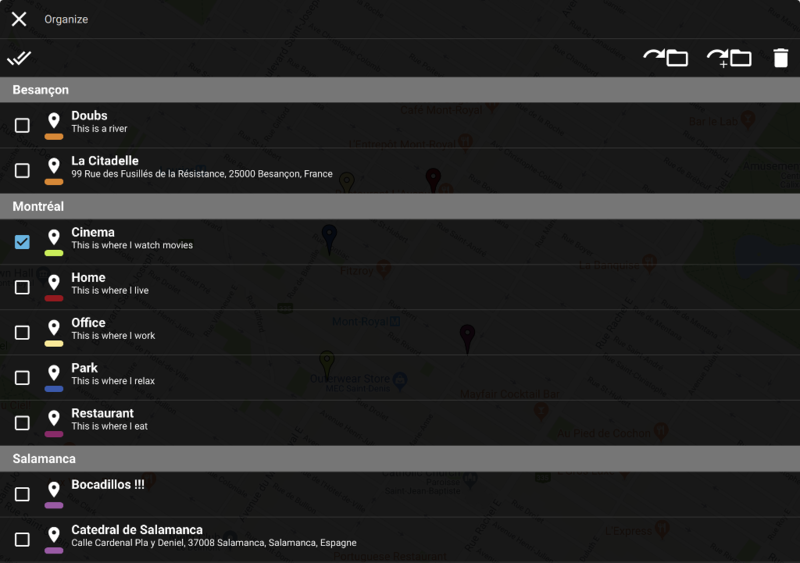 To create a new line, click on the add button from the main map interface and then click the line button on the left. Place new points with the “+” button, move from one point to another with the arrow buttons and click the save button when you’re done. To create a new polygon, click on the add button from the main map interface and then click the polygon button on the left. Place new points with the “+” button, move from one point to another with the arrow buttons and click the save button when you’re done. To edit a marker, a line or a polygon, start by selecting it (by clicking on it for example) and hit the edit button of the info window showing up. This will open the marker edit page. From there you will be able to edit all the attributes of the marker. Note: if you’re editing a line or polygon, you will have the option to edit the points of the line or polygons from this page by clicking the “edit” button in the “Coordinates” section. You can open the organizer by clicking the organize button from the top bar of the main page. The organizer will allow you to perform actions on multiple markers at once. While creating or editing a folder, you can define custom fields into the folder. Those folder custom fields will act as a template: when creating a new marker with only one folder selected, if that folder has custom fields then the folder's custom fields will automatically be added to the newly created marker. When changing a folder’s color or custom fields, a prompt will offer you to mass-assign the color or custom fields to the markers inside that folder. Select "All markers and folders"
Open the settings by clicking "settings"
Scroll down and click "Import/Export"
Note: the CSV file import will only work if the file has "Latitude" and "Longitude" columns. To see an example of how the file should look like, you can export a CSV file from Map Marker and send it to yourself. ⇒ Simply open the existing cloud map by following the instructions in this section: How to open an existing map file from the cloud? 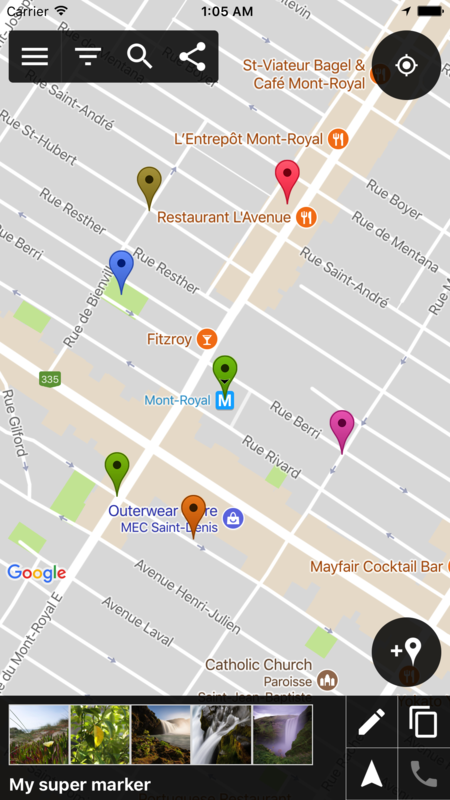 Google has granted Map Marker a generous daily free quota for places search requests. That quota is shared among all Map Marker users. There are more and more users on Map Marker and unfortunately the daily search quota limit is reached more and more frequently. When the daily search quota limit is reached for one day, any search request will fail until the next day. Since the daily quota resets every day according to the western pacific time, the most impacted time zone is around the Australian time zone. Scroll down and toggle "Maps (your places)"
Select a convenient way for you get the files and click "Create archive"
Unzip the archive file and retrieve the file named "Saved Places.json"
Navigation apps are complex and hard to get right, and there are already a lot of good navigation apps out there. 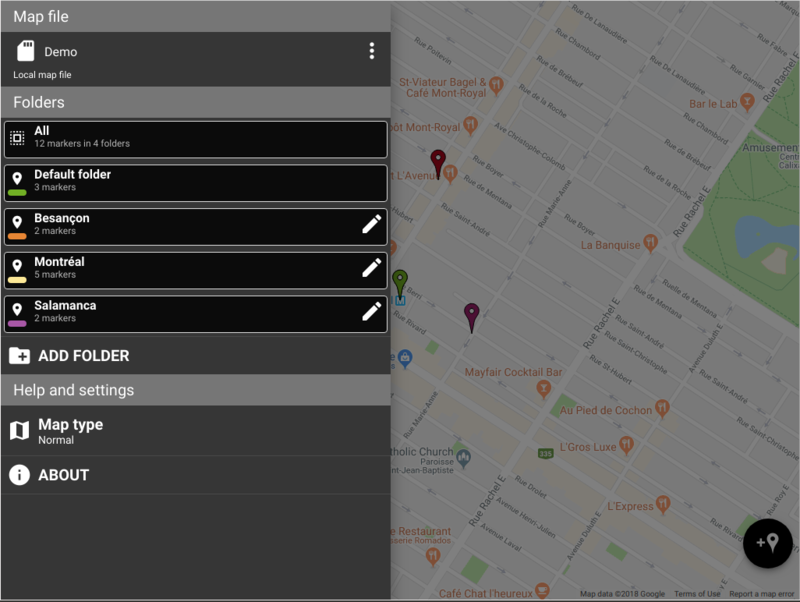 I believe that as a single developer, the way I can provide most value with Map Marker is by focusing on the ability to organize your places, and have an easy way to start navigation into navigation-focused apps. Map Marker’s focus is different from navigation. 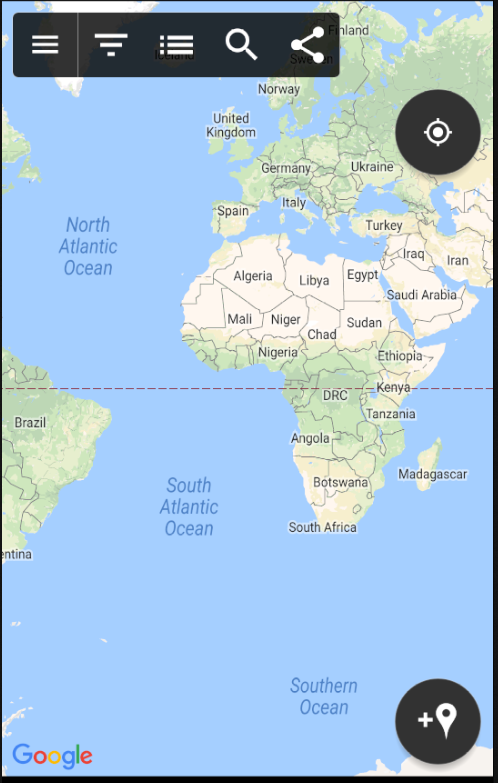 Google My Maps cannot import the KML/KMZ files produced by Map Marker if they contain the default folder, because it cannot handle an empty folder name. To work around this, you will need to import only one folder at a time, that is not the default folder. When you purchase the premium, it becomes available for life for your Google account. The Google account granted with the premium access is the one used to perform the purchase. Upon purchasing the premium, you will receive a confirmation email with an order number. From then on, you can use the premium on as many devices as you want. However you will need to use the exact same Google account to perform the installation of Map Marker on your other device. If these steps don't work you can send me your order number for confirmation and I will help you. 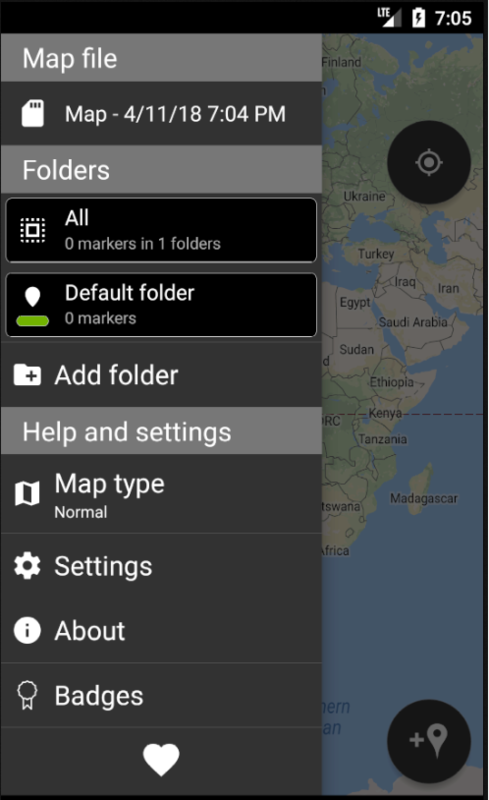 How to import your markers from a KMZ file? What should I know about the premium upgrade? When you purchase the premium, it becomes available for life for your Apple account. The Apple account granted with the premium access is the one used to perform the purchase. Upon purchasing the premium, you will receive a confirmation email with an order number. From then on, you can use the premium on as many iOS devices as you want. However you will need to use the exact same Apple account to perform the installation of Map Marker on your other device.